This 50s Key Note Top in Black cannot be missed in your top collection! 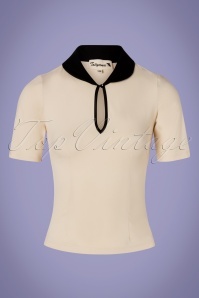 Inspired by the amazing All Aboard Blouse but with all the comfiness of a T-shirt ;-) She features a rounded Peter Pan style collar, eye-catching keyhole for a stunning cleavage and flattering short sleeves. 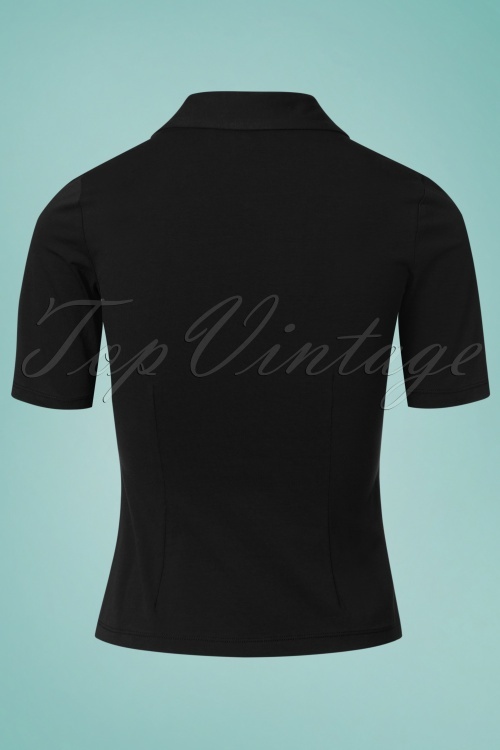 Made from a soft, supple, stretchy black cotton blend for a lovely fit. 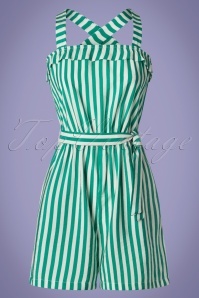 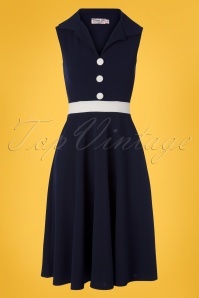 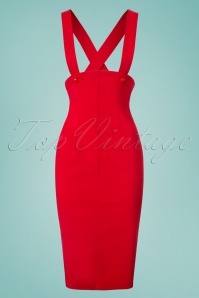 A real vintage gem that will be the perfect match to everything in your wardrobe!